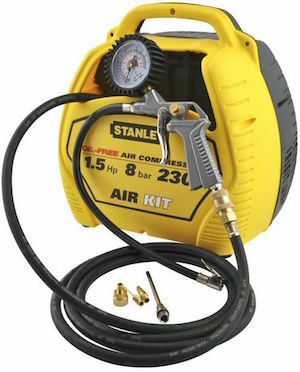 The air compressor is the most common machine that you can find both in domestic and professional settings; they can be used for inflating bicycle, motorcycle and car tires, water games, blowing air to clean tools, work environments, as well as connecting power tools to unscrew and screw nuts, shooting nails, painting, chiseling, smoothing and much, much more. 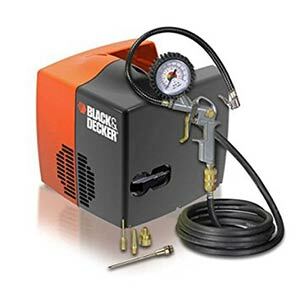 The compressor is really essential and the assortment you will find on our website will meet all your needs and surpirse you both for the prices and for the models. We have reserved a separate category for medical air compressors, specific for the use in the medical-health or food setting; high-quality products designed to deliver clean, dry air and ensure maximum hygiene. For medical, dental, surgeries, food or beverage administration laboratories and many other applications. Free Air Delivery 180 l / min. Air drawn in 180 l / min. Free Air Delivery 55 l / min. Free Air Delivery 222 l / min. Free Air Delivery 190 l / min. 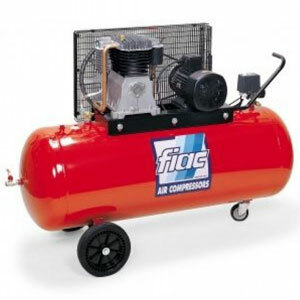 Air compressor: 6 tips for making the right choice - Purchase guide. 1st tip- What will the compressor be used for? 5 . How important is the compressors noise? 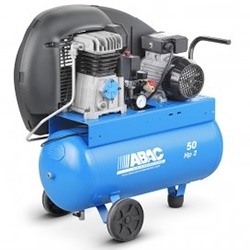 Abac Air Compressors are part of the Multi Air group and currently one of the most referenced brands in Italy and abroad for air compressors. Its distribution touches over 100 countries in the world and its main features are the reliability and quality of its products. 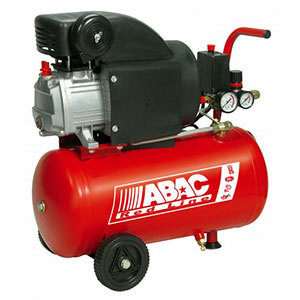 "How to choose your Abac compressor"
"B2000" : the most powerful of the Red line series and with the largest tanks (up to 200 liters); with belt drive, they can have 2 or 3 horsepower and reach an operating pressure of up to 9 Bar. Who is the Red - Line series destined for? This series consists of first-tier products, so its main use is for hobbyists. These compressors have been designed and studied to be used infrequently and with light workloads. If used with these precautions, the buyer can be sure of buying the perfect product in terms of value for money . The first variant accumulates a bit of air and manages to keep the pressure constant for longer. Generally, the tank has a capacity of 6 liters (to contain weight and size), but some models also come with 12 liter tanks. Those without tanks are lighter , maneuvering and compact but can only be used for lighter and less intense jobs . they cost less than the 24/50 liter variants and more. feedback and opinions of our customers : the average evaluation received from the product and number of problems and requests for after-sales assistance. 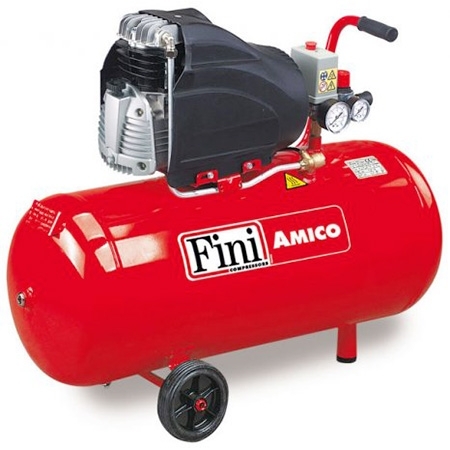 The Amico Fini 50 liter compressor represents the right combination of quality, price, and reliability. The more professional the use, the greater the amount of air needed to work quietly, and the choice of the compressor will be different. HOW IS THE NOISE OF THE COMPRESSOR IMPORTANT? Another important feature that the compressor should have is quietness ..... using these tools inside a flat can cause problems due to the noise of the generator, especially during the loading phase air . Therefore, it is important to look for a product with reduced sound levels that respect the peace of others. Many companies build silenced compressors with special lines, to meet this type of requirement that should not be underestimated. The compressor is a type of an extremely heterogeneous product and can be used by different types of users. Each of these types will have different characteristics. The environment in which it will be used. When is it convenient to evaluate the purchase of a used one ? We advise you to buy a used compressor in the case of professional products (those intended for hobbyist are not recommended since they are cheaper than professional ones, on the market, therefore there would only be a small price difference compared to a new one); professional compressors price starts from at least 1000 / 1500 euros (the most common type of compressor on the used market is the screw type ). If you will use your compressor in closes spaces, such as in residential areas and in flats, the best compressor for you, in this case, is a silenced compressor . Over the years, great progress has been made , including changing the frequency of acoustic pressure of the compressor, allowing those close by to be able to speak without difficulty. They have various sizes and various powers so as to meet all the needs of users and can have both a belt or coaxial transmission. 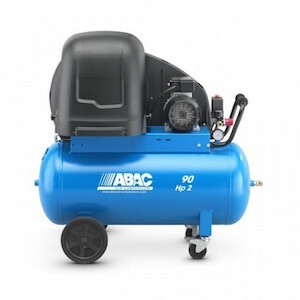 One of the best brands on the market are ABAC Air Compressors, who is constantly working to improve its products, in the last year it has managed to considerably decrease the acoustic pressure of its compressors. The comfort of this line will make your job pleasurable. Stanley was founded in 1843 by Frederick Stanley , who, by investing in research and development , transformed what was initially a hardware store into an international project . 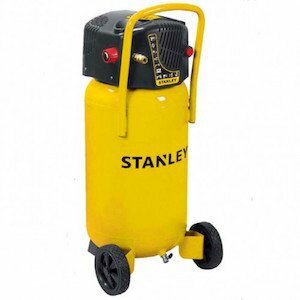 Stanley is one of the best-known brands in the world, with constantly updated and improved products. In fact, this company invests constantly in know - how, working side by side with its users to achieve its " standards of excellence ". The most requested compressor on the market thanks to its small size and great versatility . Ideal for small inflating jobs. 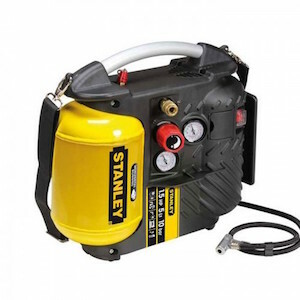 Portable compressor with great performance for hobby and domestic use. Also ideal for painting. Semi-professional 50 liter compressor. Suitable for inflating , blowing , spiking , crimping and thanks to the OILLESS technology also painting. Its VERTICAL position makes it compact and suitable for small spaces.